Here is another reason to get your female dogs spayed!!! 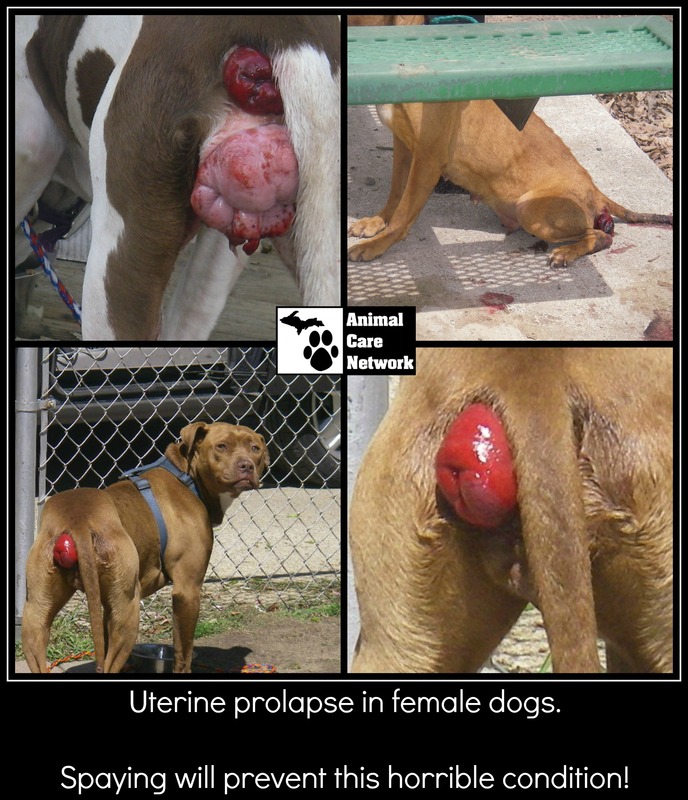 This prolapse condition is very serious and can happen to female dogs that are in heat. We run across female dogs with this problem frequently. Best way to avoid it is to get your dog spayed!!!! Isn’t it better and more affordable to get your dog spayed that to have to pay the medical costs to correct this problem? Not to mention how this feels for the poor dogs.